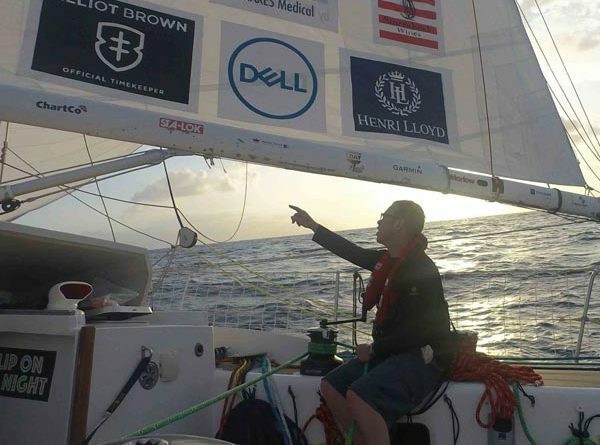 A milestone was reached overnight when leading team, Qingdao, entered the Doldrums Corridor. 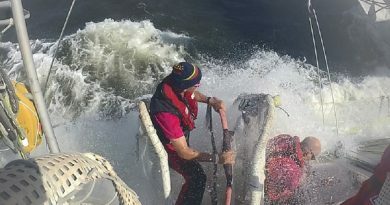 Skipper Chris Kobusch formally notified the Clipper Race Office that Qingdao would motor-sail for exactly 6° of latitude and for a maximum of 60 hours through the specified Doldrums Corridor, a tactical mechanism allowing teams to motor-sail though the notoriously windless area. The rest of the Clipper Race fleet is set to enter the Doldrums Corridor en masse, with the predicted Trade Winds arriving to help push the chasing pack south. 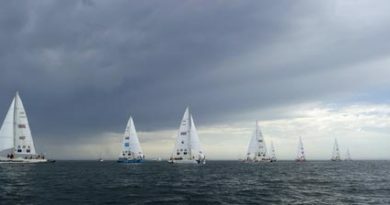 Whilst Qingdao and GREAT Britain have held on to first and second, teams in the middle of the fleet managed to make significant ground overnight. In the last twelve hours, HotelPlanner.com moved into fifth and Unicef into sixth, after both traveling 74 and 78 nautical miles respectively. 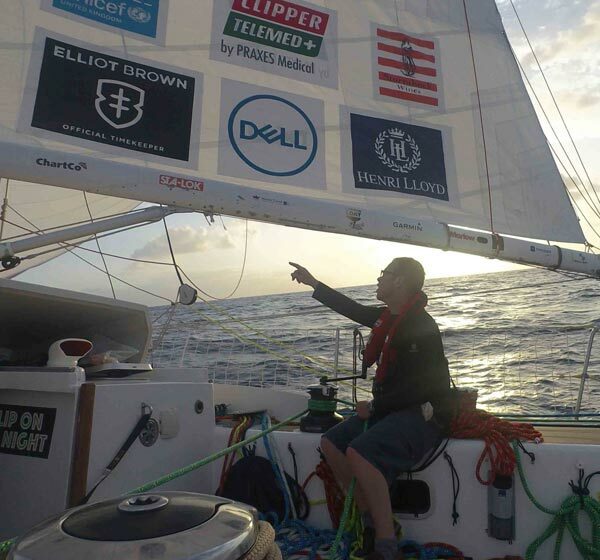 Unicef Skipper Bob Beggs says: “Ahead, the leading pack have reached light airs slowing them down, allowing Unicef and the mid pack to compress and make up some miles. It has been frustrating time for those onboard Visit Seattle, who has fallen to fourth and 80.56 nautical miles off the lead. Skipper Nikki Henderson explains: “We seem to have developed a remarkable talent in discovering wind holes just as we start building momentum and a lead in the fleet. 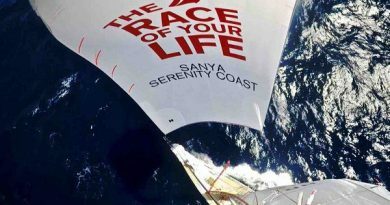 Greenings missed the chance to edge out Sanya Serenity Coast and take one point from being third through the Scoring Gate, but the boat is continuing to make excellent progress under relief Skipper and Deputy Race Director Dan Smith. Dan says: “The weather and sailing has been glorious and despite light winds, we have managed to keep the boat moving well. CV31, Nasdaq, is diverting to Mindelo, São Vicente, in the Cape Verde islands, in order to drop off round the world crew member David Harries, 48, who has a sore and swollen right leg. Skipper Rob Graham and the onboard medic crew have been in constant contact with PRAXES, our remote medical support physicians, and the Clipper Race Office overnight and have administered antibiotics, though the current diagnosis is that it could be deep vein thrombosis (DVT). Although this medevac is necessary it is not an emergency, however the risks posed in bypassing the Cape Verde Islands and continuing on across the South Atlantic are too great and not one we are willing to take a chance with. David’s health and well-being are the most important concerns here. The plan, as agreed with Race Director Mark Light, is that the team will sail as close as it can to the island before suspending racing in order to minimise any disruption to its race. It will then motor into Mindelo to carry out the drop off, and will resume racing from the exact position of suspension as quickly as immigration and clearance allows. There is a central hospital close to the marina in Mindelo where David will be able to get the appropriate treatment. At present, Nasdaq is just over 70 nautical miles away from Mindelo and is expected to arrive there in daylight today.